Expats moving to Austria will fall in love with the country’s snow-capped mountains during winter that makes a perfect ground for outdoor activities such as skiing and snowboarding. 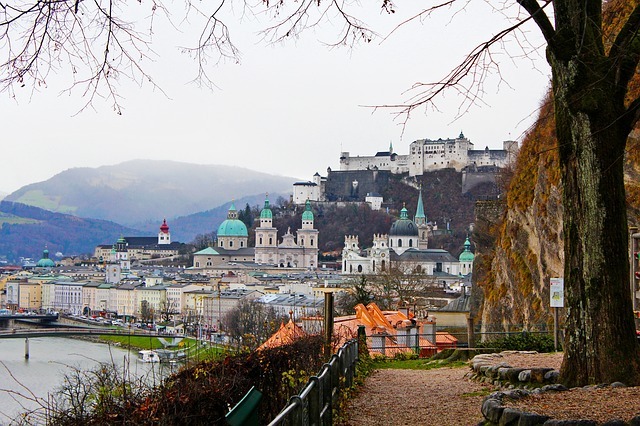 Austria is also known for its elegant architecture dating back to the 12th century. And, of course, who would forget about famous Austrians like Sigmund Freud, Alfred Adler and Wolfgang Amadeus Mozart who made significant contributions to music and science? People relocating to Austria are in for an incredible experience. With an abundance of natural beauty and spectacular scenery, Austria only captivates any traveler or newcomers. Despite the high cost of living, its thriving economy offers employment opportunities that keep pace with Austria’s high-quality lifestyle. Located in Central Europe and being landlocked by eight countries might seem a drawback, but for Austria, bordered by countries with thriving economies (Germany, Italy, Switzerland) it has proved to be an advantage. Austria stands proud as one of the richest countries in the world (in terms of GDP). 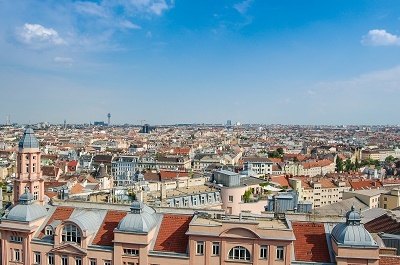 The country has a population of 8,439,137 people and Vienna, the largest city in Austria has a population of 1,794,770. The life expectancy at birth is 79.5 years (male 76.6 years and female 82.56). Mercer's 2014 Quality of Living survey ranked Vienna in the top regional spot among European cities. Austria's stable political system is a parliamentary representative democracy. The country is divided into nine federal states. Austria is highly mountainous with crystal clear lakes. Nearly half of the total land area (83,858 square kilometers) is covered with forests. Thus, it is considered the most wooded country in Europe. Foreigners and expats will enjoy the climate of Austria, a superb blend of four seasons: spring, summer, autumn and winter. The cold and snowy weather opens up a wide range of activities for family activities: skiing, snowboarding, tobogganing, sleigh rides and curling or skating are very popular during winter. Expats who are fond of hiking can tackle the famous Austrian Alps during summer. Expats who are beer lovers will enjoy the distinctive taste of Austrian beer, not to mention Austrian's exciting nightlife that converts any night into day. As part of your decision to move and accept the Austrian culture, it is also necessary to learn basic German, the official language. Natives are more appreciative of expats who try their best to speak and learn their language. Some other languages spoken are Croatian, Hungarian and Slovenian. Home to famous composers like Beethoven and Mozart, Austria's main contribution to the world's cultural stage is certainly classical music; hence Vienna is crowned as the European capital of classical music. It is important to keep in mind that the Church is highly respected in Austria. Roman Catholicism is predominant, and 74% of the population is registered Catholic. Considered a preferred trade destination by the European market, the timber industry in Austria is a significant element of foreign trade, along with tourism. Major purchasers are the European countries and countries like US and Japan. Austria also profits from iron ore and oil. The currency of Austria is the euro or €, which replaced the Austrian Schilling in 2002. The dominant currency of the euro entices any foreigner, as it remains higher than the US dollar. European citizens do not need a visa or permit to work or stay in Austria. The only requirement is to register at the local police station within three days of arrival. A residence permit, or EWR-Lichtbildausweis, is needed if you wish to stay longer than three months. Children residing permanently in Austria, regardless of nationality, are required to attend school. All Austrian state schools are free. If you are not a European citizen, be prepared for the stack of paperwork and challenge of getting a permit (work or residence). For more information, contact the Austrian Embassy or Consulate in your respective country. Foreign nationals who have a permanent resident visa can use their driver's license from their home country for six months upon arrival. You can apply for your driver's license to be converted to an Austrian license without taking a test; however, a medical report is needed along with relevant paperwork. A vignette toll pass is required to drive on Austria's motorways. Expats and visitors will be amazed by the excellent transportation system ranging from underground trains to trams and buses. With a low crime rate and a stable government, the majestic landscape of Austria is not the only attraction for expats. 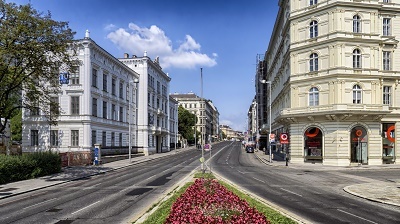 Relocating to Austria may require one to ship over some personal possessions from home, and expats will need to be aware that there will be regulations to comply with and duties. Items brought to Austria may or may not be dutiable depending on conditions surrounding ownership. Household goods in the importer's possession for at least six months are duty-free as long as the person has been in Austria for at least a year after shipment. Import of these goods should also be made within two years after the owner's immigrant status is granted to avoid duties. Banned from entering this country are all pornographic materials in any medium while restrictions apply for certain goods such as tobacco, alcohol, foodstuffs, new appliances, antiques and others. Consulting moving companies in Austria is the best way to know the details of these restrictions. Cars and other vehicles are duty free when proven to be in the owner's possession for at least six months and may not be sold until two years after the owner's change of residency. Removals to Austria also require immigration-related documents such as a valid passport, original residence certificate, and certificate of residence change will be required, along with an inventory of all items in three copies, and two certificates, one from the local police station where the owner resides in Austria and an exit certificate proving the importer has been in the country for at least a year. Those who find the whole process of relocating to Austria difficult can always ask for the services of removal companies, which can handle overseas shipping with expertise. Austria is not only a first-world country, its economy is also doing great and foreigners who are planning to move there for good can be sure to find an excellent quality of life. Expats who are preparing to relocate to Austria will find a variety of available job opportunities, particularly in the electronics, chemical, electrical and mechanical and steel industries. The country has the lowest unemployment rate in the European Union, standing at an averaged 5% over the past five decades. It is particularly on a lookout for technology professionals such as software engineers and IT experts. Skilled workers who can take a job in any of the country's construction, communications and manufacturing sectors are also welcomed. There are various types of working visas that expats can avail of, such as the EU Blue Card which is a new type of residence and work permit for non-EU citizens to live and work in Austria for two years or less and the Red-White-Red Card which allows visitors to work and live in Austria for 12 months. There is also the jobseeker visa, which is intended for highly qualified non-EU citizens who have not managed to secure a job offer yet. It is worth noting that EU/EEA citizens do not need a visa, residence or work permit to live or work in Austria. In an Austrian workplace, formality is standard business etiquette but it doesn't mean you should wear something too flashy. It is important to call people by their formal titles unless the Austrian initiates a more casual relationship. They don't like people who don't value their time and they can be very frank about it. Austrians, in general, are very straightforward and can speak their minds with confidence. But once they warm up to a person, they can be very fun, warm and loyal friends. Perhaps, the only issue about expats working in Austria is language. With enough time, learning German with a unique local accent should not be so hard to do. And living in Austria may prove to be, indeed, a very inviting prospect.